POSbistro is a revolutionary software for catering, a tablet application that gives all the possibilities of managing a catering outlet of any size or a network of catering outlets. Its distinctive feature is the work of the system in the cloud and the application of the latest approaches in the field of IT-support of customer service processes. POSbistro is also a chance for a significant reduction in the amount of investments in the planned or upgraded catering establishment. The properties of the system make it possible to improve the work of personnel and reduce the cost of operation. And also give the possibility of current monitoring to persons managing a catering establishment. We invite you to get acquainted with the characteristics of the system. X2System is a product package for catering that helps businesses to achieve sustainable and measurable financial benefits based on Microsoft Windows. Ideal for single workplace, and also allows you to work effectively in the network. The intuitive interface of the application will make it easier for the novice user to work with the system, as well as meet the expectations of experienced operators. The modular device guarantees complete integration and makes it possible to select the program functionality flexibly to the needs of each firm. As the company develops, X2System can be expanded by subsequent elements. This is the only program on the Polish market that facilitates purchase of an additional periodic license at a much lower price for the purpose of opening a restaurant for only one season (for example, a restaurant on the outdoor platform for a sport event). 4REST / izzyRest is a modern, fully integrated program for catering. It operates on the basis of WINDOWS, using all its advantages - mouse service, "drag & drop" technology, including compounding recipes resourses, defining food and products, the possibility of any configuration of displayed windows, easy grouping of data. It is fully integrated with the HotelOnLine program, and also interacts with the BILANS program. The program consists of two functional modules POS and Biuro / Magazyn (Office / Warehouse), and the user can freely move between them depending on the access available. All this is characterized by easy and intuitive maintenance and work with warehouses in online mode - warehouses are being inventoried at the moment of closing the account by the waiter. 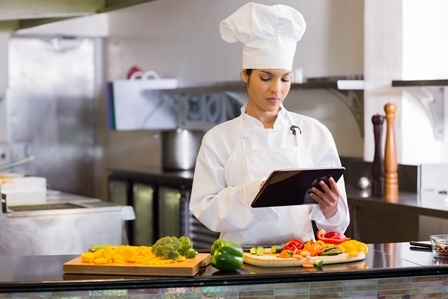 A series of programs GASTRO (POS, SZEF) is a comprehensive solution for servicing inventories in public catering (restaurants, catering) and sales based on a computer system. GASTRO programs also serve collective nutrition, closed and open. GASTRO POS is an independent sales program for waiters and bartenders. Its functionality allows you to work with touch screens of POS terminals. GASTRO SZEF is a complex management of the restaurant, starting from the warehouse, bypassing the compounding of recipes, events, collective nutrition and up to the software of cash registers, sales reports and analysis of sales and warehouses. SOGA is a professional system that facilitates the work of a catering establishment. The system is characterized by ease of maintenance and a modern interface that provides the highest ergonomics and user-friendliness. Warehouse module allows you to monitor the condition and evaluation of the warehouse in detail, create recipes and keep records of supplies documents. The system includes a module for interaction with the hotel program, as well as a module of remote receipt printers (palmtops) with the SOGA program. The FoodSoft ePOS system is software designed for catering facilities such as restaurants, pubs, pizzerias and many others. Due to the possibility of scaling, it is easy to cope with the tasks of many outlets of sale while providing constant access to current data including the entire catering facility. Provides easy communication between the waiters and the kitchen, minimizing the time required to service the order.